Most readers will know that I like beer. Most people who meet me or see me on the street will know from the size of my belly that I like beer. Most readers will know that I like sweets. Most people who see me on the street will... Well you get the idea! I like most brands of sweets, especially Jelly Belly. 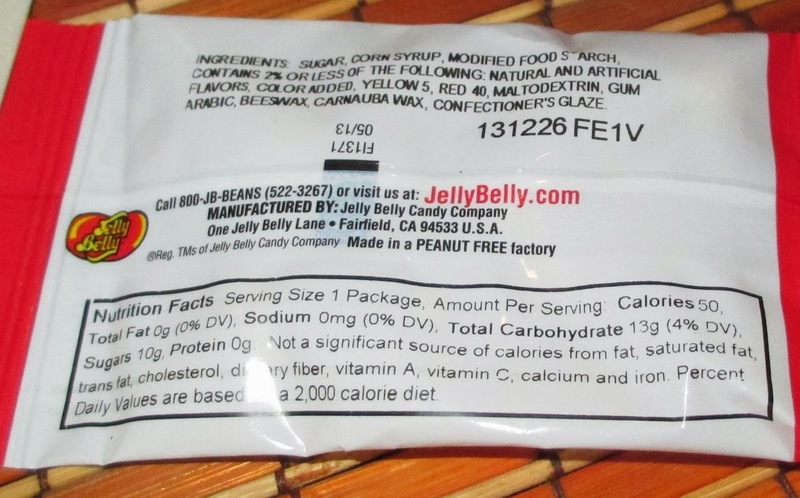 My favourite flavours of Jelly Belly are Orange Sherbet, Sour Orange and Sour Lemon. In fact when Jelly Belly asked me to review their new flavour I was really honoured. When they mentioned that this new flavour was Draft Beer flavoured jelly beans I thought they’d gone mad. When I received the package through the post I first misread the front of the packet and thought it said ‘Daft’. Cinabar excitedly opened one of the packets and took a whiff, she said that it was probably better not to smell them and better just to eat them, but I took a smell anyway. The iridescent gold beans smelt a little bit like a pub carpet after a particularly long hot summers night! 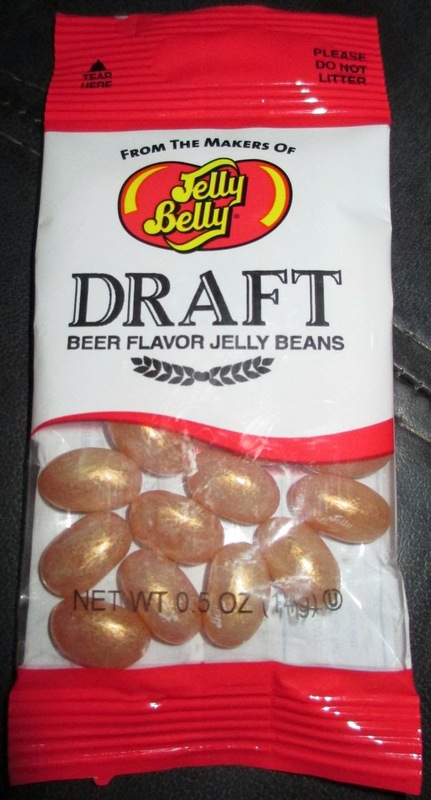 Having said that these Jelly Belly Draft beer flavoured beans tasted lovely, and bizarrely so. There was an initial sweet taste, but not saccharine, which followed through to a slightly bitter hoppy taste with undertones of barley. The taste was akin to a sweet lemonade shandy. In fact it was difficult to stop eating these Draft Beer flavoured beans once I'd started. The 14g packet didn’t do them justice at all. What I really needed was a big bowl of Ready Salted crisps to start with, and a good movie to watch with a big bucket of these beans as desert! Unfortunately and rather amusingly Cinabar pointed out that I had a beery smell on my breath after eating them, which might confuse a traffic cop if you got randomly pulled over after eating these rather moreish Draft (but not daft) Beer flavoured Jelly Belly beans!